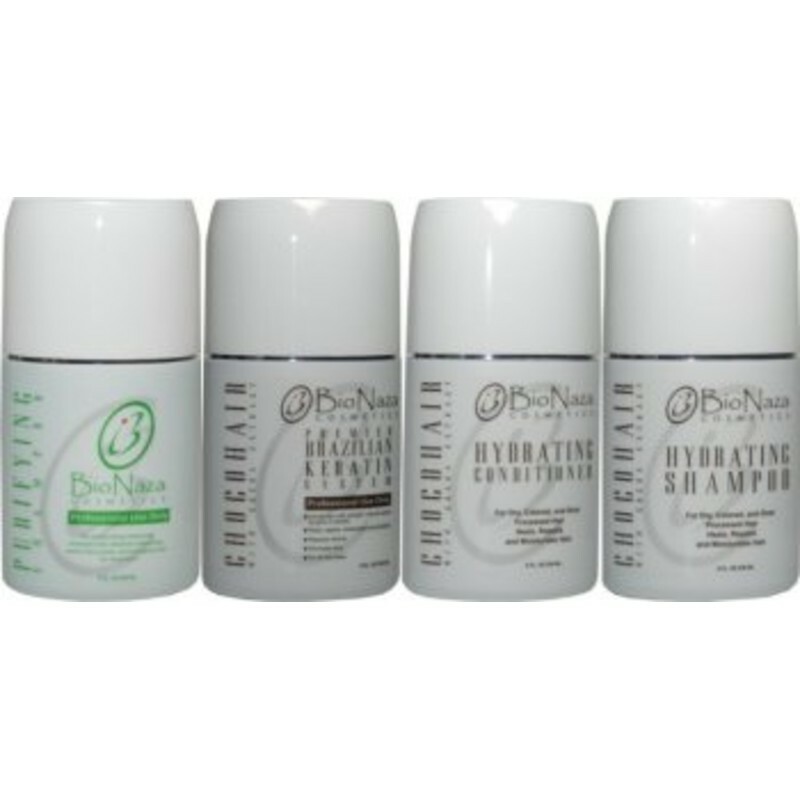 Bio Naza ChocoHair Group (1)Purifying 8oz (1)Choco Hair Keratin 8oz (1)Hydrating Shampoo 8oz (1)Hydrating Conditioner 8oz - Just Beauty Products, Inc.
(1) Bio Naza KeraHair Purifying Shampoo 8 Oz. (1) Bio Naza ChocoHair Keratin Chocolate 8 Oz. (1) Bio Naza ChocoHair Hydrating Shampoo 8 Oz. 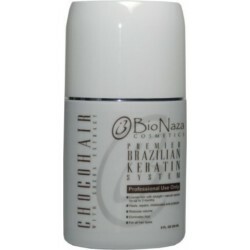 (1) Bio Naza ChocoHair Hydrating Conditioner 8 Oz. It works on all kinds of hair, differing only in the way it is applied, but it Works best on hair that has been chemically processed, colored or highlighted. 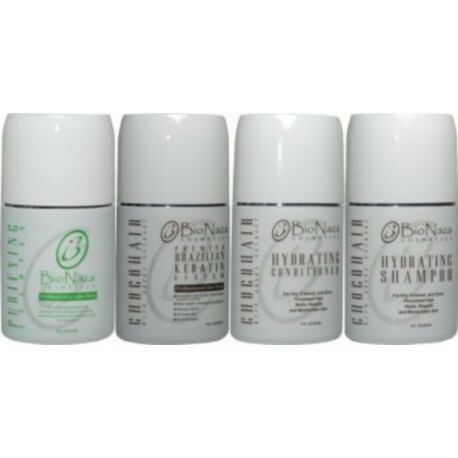 (1)Bio Naza Cosmetics KeraHair Purifying Shampoo Of 8 Oz. (1)Bio Naza ChocoHair Keratin Chocolate 8 Oz. The Choco Hair Keratin Chocolate is a revolutionary hair reconstructor and volume reducer treatment that eliminates frizzy hair, leaving it straight or wavy, healthy and shinning for up to three months. It works on all kinds of hair, differing only in the way it is applied. Considering the way it works, we could call it a “Deep Leaving Conditioner” in which the major ingredient is keratin extracted from human hair. Choco Hair- Keratin Chocolate was developed and being used by its developer since the early 2007 and is now on its first and improved version. Today you can color, highlight and wash the hair on the same day the treatment is applied. You can wash your hair with shampoo and conditioner, swim, and go to beach on the same day, without being afraid of losing the effect of Choco Hair- Keratin Chocolate. 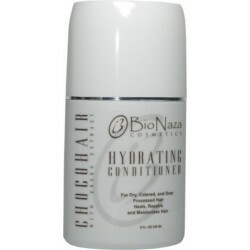 (1)Bio Naza Cosmetics ChocoHair Hydrating Conditioner 8 Oz. 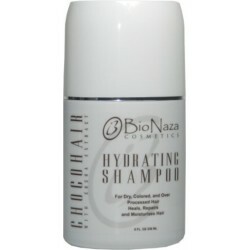 (1)Bio Naza Cosmetics ChocoHair Hydrating Shampoo 8 Oz. 1 x Bio Naza Purifying Shampoo 8 Oz.